In March 2014, the children of Nepal got a new angel to watch over them. Roshani Balika died at Bal Mandir, Naxal, aged 4. Roshani was a gorgeous, energetic, inquisitive young lady who unfortunately had a minor mental disability which meant she was treated differently. We were not able to protect Roshani but we vowed to ensure that her spirit lived on and that her death was not meaningless. In Roshani’s memory, Mitrataa created “Roshani’s Award”. This scholarship would be awarded to a very special young woman who had faced discrimination due to her disabilities. The first Roshani’s Award was given to Tulasha Chhetri, a young woman with Down’s Syndrome who had faced severe discrimination in her village due to her disability. Tulasha joined us in 2014 for a 3 year commitment to help her develop some independence skills and to establish a more stable environment for her in the village. We were really happy in November 2017 that Tulasha was ready to return to her village and so we needed to find a new Roshani’s Award recipient. Rojina Shrestha had joined us with her brother, Ashalal, and sister, Sujina, in 2014 after their mother had abandoned them and their alcoholic father was unable to care for them. She was about 4 years old at the time. We put the 3 children into school and Ashalal and Sujina thrived but Rojina really struggled. We tried changing her school, organised extra support for her but finally we realised that she was dyslexic and on the autism spectrum and so traditional school in Nepal was not the answer for her. We home schooled her for a few months in 2017 but this also wasn’t a sustainable answer for her as she needed the socialisation skills. We enrolled her in dance classes which she absolutely adores and which have built her confidence significantly. We have also now enrolled her in a school for students with special needs and she is thriving. She has overcome her fear of school and is doing really well. Initially, we brought Tulasha to Kathmandu in April 2014 for a health check-up and to see how she liked it. She came with her uncle and father. After a successful health check-up, we gave her a bath, bought her some new clothes and gave her some good meals. We sent them back to the village while we worked on a solution for accommodation and support in Kathmandu. In May 2014, Pushpa and Asbini went back to Dolakha to check on Tulasha. The village’s attitude towards her had changed and they were now caring for her more actively although she still needed a lot more care and teaching to become independent. 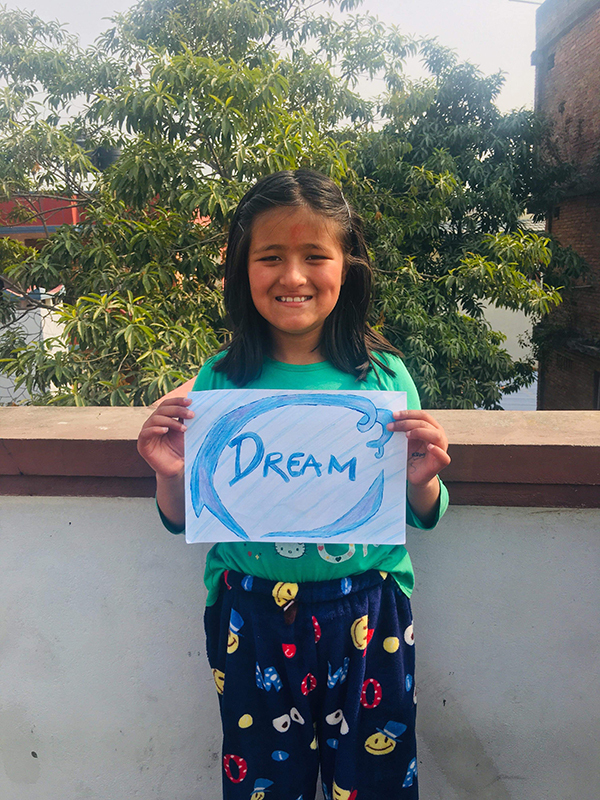 We needed to find a supportive, caring and creative environment for Tulasha in Kathmandu to achieve the aims of her scholarship – independence for her in future. We explored options in hostels in Special Needs Schools and in the Downs Syndrome Society of Nepal. Unfortunately, we were not confident in their ability to be able to deliver our stretching objectives. 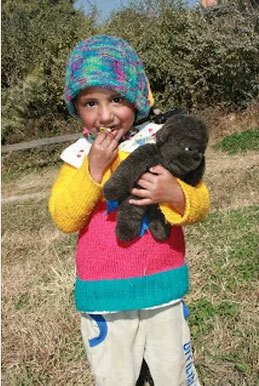 Three months have passed and Tulasha has settled in incredibly well with Babita and her family. She has learned to bath herself, wash her dishes and her clothes, to say her name and where she is from as well as to greet people. People with Down’s Syndrome are generally left in a corner of a home with no support or opportunities in Nepal. 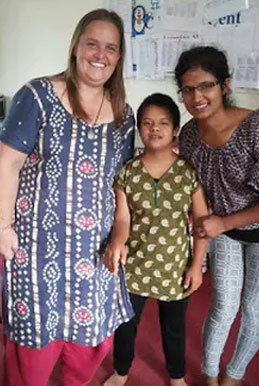 Disabilities here are not well understood or respected and Tulasha has been great at teaching people that she has wonderful passion for life, an ability to learn and a huge heart. Not only has she learned a lot, but she has taught all members of the Mitrataa family about tolerance and understanding and we have already seen this message being passed on to others in the extended Mitrataa family. The road towards independence for Tulasha is long and full of twists and turns. But she has started her journey and embraced it completely. With Babita by her side, we are confident that in a few years, Tulasha will be able to live independently with a support network around her. Huge thanks to Ashwini, Bandana, and of course Babita for their support and passion for Tulasha. We know that Roshani would be smiling knowing that her memory lives on and has given Tulasha the opportunity for a better future.